The 38th Mill Valley Film Festival kicks off this week with Irish films ‘Brooklyn’, ‘Room’ and ‘You’re Ugly Too’ all selected to screen. The Mill Valley Film Festival takes place is Mill Valley California and is becoming increasingly recognized as an awards season platform screening five of the last seven Oscar Best Picture winners including ‘12 Years a Slave’, ‘Argo’, ‘The Artist’, ‘The King’s Speech’ and ‘Slumdog Millionaire’. ‘Brooklyn’ screened at Sundance earlier this year and was acquired by Fox Searchlight for $9m, the second biggest deal of the festival in 2015. The film has also received highly positive reviews from US publications such as Variety, The Los Angeles Times, The Hollywood Reporter and the New York Post and is receiving a lot of Oscar buzz as we enter into awards season. ‘Brooklyn’ is an Irish/British co-production from Wildgaze Films, Finola Dwyer Productions, Parallel Films and Item 7. It was co-financed by the Irish Film Board and filmed on location in Wexford, Dublin and Wicklow, as well as Montreal and New York. Directed by IFTA and BAFTA winning director John Crowley (‘Intermission’, ‘Boy A’) and adapted by Nick Hornby from Colm Tóibin’s novel of the same name, ‘Brooklyn’ stars Oscar nominee Saoirse Ronan as a young Irish immigrant in 1950’s New York whose blossoming relationship with an Italian plumber Tony (Emory Cohen),is threatened when tragedy calls her home. She returns to Ireland where her attraction for a charming local man called Jim (Domhnall Gleeson), grows. 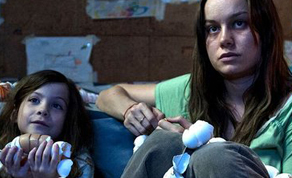 Also receiving a lot of Oscar buzz is Lenny Abrahamson’s ‘Room’, also screening at Mill Valley. The film has recently won the People’s Choice Award at Toronto, which is often seen as a significant primer in predicting Oscar nominees. The film has been hailed as a “beautifully handled adaptation” by Variety, “exquisite and heartbreaking” by HitFlix and a “triumph of independent filmmaking at its very best” by Deadline, among many other positive reviews from US publications. ‘Room’ is produced by Element Pictures and No Trace Camping with funding from the Irish Film Board and is told through the eyes of a five year old who is held captive in a room along with his mother. The film stars Brie Larson, William H. Macy and Jacob Tremblay. Earlier this year, Filmnation Entertainment sold out all international rights to the film. ‘Room’ is directed by Lenny Abrahamson with Emma Donoghue adapting the screenplay from her own novel. The film was post-produced at Screen Scene in Dublin with Outer Limits (formerly EMC) working on Picture finishing. The creative team includes Abrahamson’s regular collaborators, editor Nathan Nugent (‘Frank’) and composer Stephen Rennicks (also ‘Frank’). Written and directed by Mark Noonan, ‘You’re Ugly Too’ stars Aidan Gillen (‘Game of Thrones’) as Will, who is released from prison on compassionate leave to care for his niece Stacey (Lauren Kinsella; ‘Albert Nobbs’), after the death of her mother. As they both head into the sleepy Irish midlands and attempt to be a family, they suffer a series of setbacks; Stacey is refused admission to the local school because of her recently developed narcolepsy; Will repeatedly comes close to breaking his prison-ordered curfew; and his attempts at being a father figure to her prove disastrous. The film has been a hit in Ireland and abroad winning awards such as Best Screenplay at Athens and the Skip City Film Festival in Japan, in addition to the Best Irish First Feature award at this year’s Galway Film Fleadh and the SDGI Director’s Finders Series. It was also nominated for the Best First Feature Award at the Berlinale Festival, where it had its premiere in Official Selection. ‘You’re Ugly Too’ was produced by John Keville and Conor Barry for Savage Productions and was written and directed by Mark Noonan. The film was funded by the Irish Film Board and is scheduled to screen at the OFFline Film Festival in Birr on Friday, October 9th. The Mill Valley Film Festival runs from October 8th-18th in Mill Valley, California.